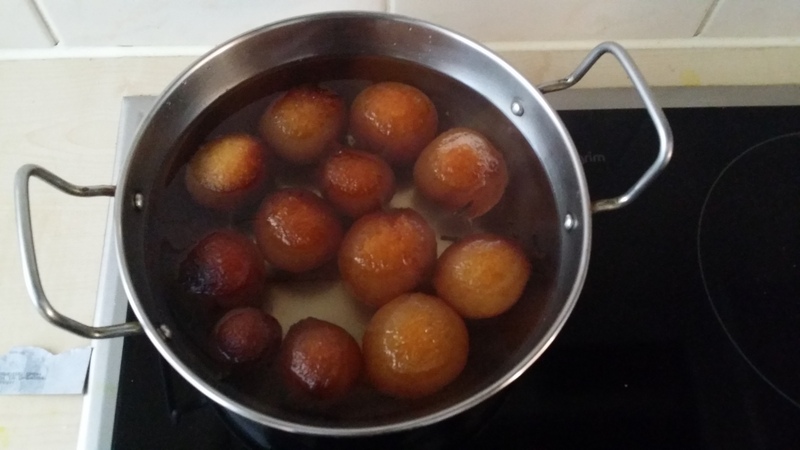 I am not really a baker or an avid indian sweets maker, but since I was on a roll with cooking over the past 4 days, I decided to continue with the momentum and make some nice juicy gulab jamuns. This is a typical indian sweet / dessert served at festive celebrations and happy occasions. In my opinion, they are similar to the Olie Bollen sold in the Netherlands especially during Christmas with castor sugar sprinkled on the top and without the sugar syrup. A friend of mine gave me the recipe to make from scratch. However as I was not able to locate evaporated milk and did not have any milk powder on hand, another friend kindly bought me a pre-mixed pack (Gits brand for 2.50 euros). So all I did was add full cream milk and powdered cardamom and kneaded the mixture. Once completed, I made balls for frying. 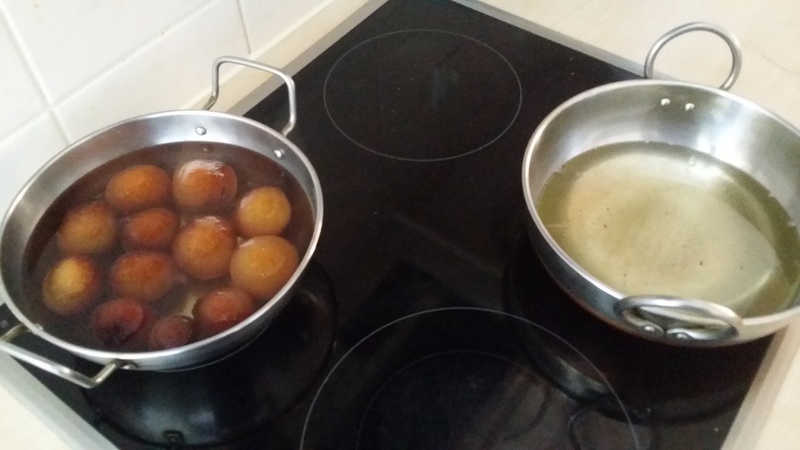 A note to myself – make even smaller balls the next time as they will really expand from being fried and also by soaking in the sugar syrup. I am satisfied with the outcome apart from the humongous size and I shall try not to eat too many as they are sugar bombs! 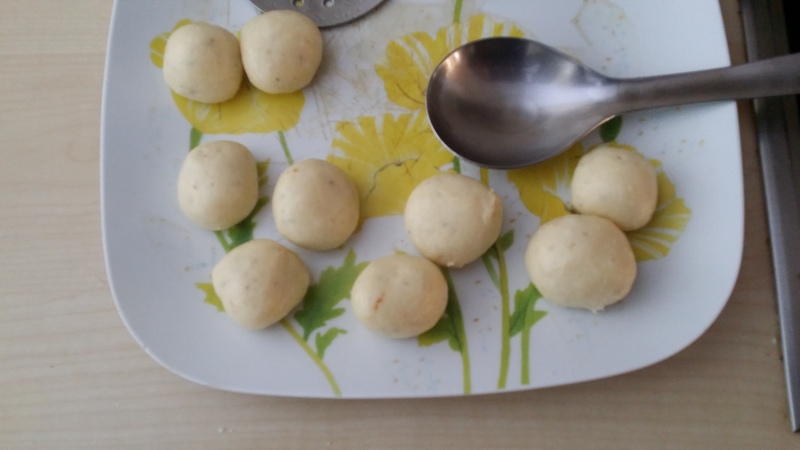 This entry was posted on November 2, 2015 by PreetStyle in Feel good foooood and tagged dessert, diwali, festive season, Gulab jamun, indian sweets, olie bollen.